Imagine if you had a silver bullet that helped you improve your business and keep one step ahead of your competition without spending a lot? In this post, I will teach you about a technique that can do this for you. 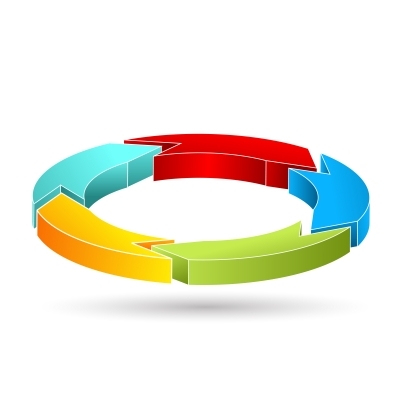 Continuous Improvement is the process of looking at all aspects of your business and looking for ways to make it better and making small changes on the basis of these reviews to improve it incrementally. You need a clear way of measuring your current performance. Without a clear idea of it, there will be no way of knowing whether the changes you make are having any effect. From my experience measuring performance also as the knock on benefit of focussing employees on how to improve performance. Listen to your customers, your customers can often be your harshest critic but also one of your greatest assets. They will often provide helpful (and sometimes unhelpful) suggestions on what you could do to make their lives a little bit easier or provide them with a better service. Designate a time on a weekly or monthly basis for a retrospective when the improvements and measurements can be discussed, this will help keep the process moving forward. Reward success; the process has to be encouraged from the ground up from the shop floor to the directors so that the whole business is moving together as a whole and people are not just focussed on improving one small thing. The key benefit of this process is that it will keep the business competitive and keep it moving forward. You may also inadvertently discover a small change which provides a big benefit. Make your company more agile and make it easier to respond to change. Will reduce inefficiencies, help reduce waste and keep costs down. Fosters teamwork and provides employees with a way of taking ownership and seeing their changes benefit the company.